Since I showed ya'll Lydia's birthday cake on Monday, my inbox has been flooded (okay, so not really flooded), but I've had several requests for it. =) I have to say, it feels kind of weird posting this springy/summery looking cake in the fall, but I think it could be a great one for any time of year. 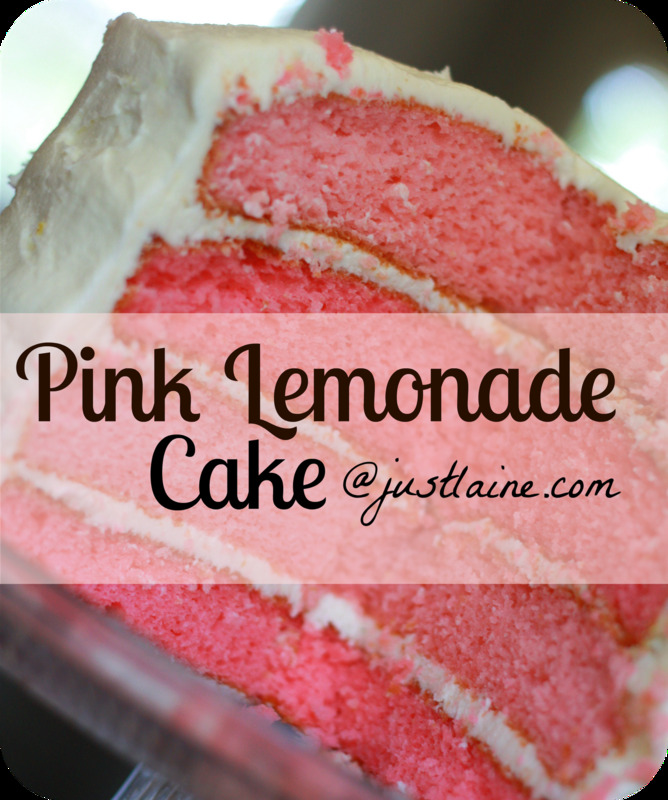 Even though it's cake, and cake is notoriously "heavy", this one just seems lighter because of the lemon flavor. I think it would be a great addition to all the upcoming holiday gatherings where pies or all-things-chocolate usually dominate. You could always change up the colors on the inside if you wanted to as well! 1)Allow butter and eggs to stand until room temp. 2)Preheat oven to 350. Grease 2-8" or 9" round pans. 3)In a medium bowl mix flour, baking powder, and salt, and set aside. 4)In extra large bowl beat butter, add sugar, 1/8 t. of food coloring, 1 egg at a time, beating well. 6)Alternately add flour mixture and milk mixture to butter mixture beating on low. 7)Remove 1/2 (4 C.) of tinted batter and spread in 1 pan. Stir in 1/4 t. of red food coloring in remaining batter and spread in other pan.8)Bake about 35 minutes...mine took longer (check to see if tooth pick comes out clean). 9) Cool in pans for 10 minutes. Let them finish cooling on wire racks. While the cakes are cooling, it's time to make your frosting! 1) In a very large mixing bowl, beat the butter until nice and smooth. 2) Gradually add in 2 cups of powdered sugar, beating well. 3) Slowly beat in 1/2 cup of the lemon juice and the vanilla. I used an additional 1/4 cup of lemon juice (hence why I put 3/4 cup in the recipe), but just start with the 1/2 cup and see how it does. 4) Gradually beat in remaining powdered sugar until nice and fluffy. =) Add additional lemon juice or powdered sugar to reach the desired consistency. After cakes are completely cooled, cut the cakes in half with a serrated knife to make four layers. Plop a little frosting on your cake plate to keep it in place. Add your layers alternating the colors and frost in between. After all the layering is finished, frost the outside of the cake and then the top. Hope you all enjoy this cake as much as we did! I will definitely be making this again soon! What's your favorite cake to make? Yummy! can't wait t)o make this! :) thanks for sharing the recipe. Looks delicious. I'll have to try it. We love lemon flavored treats around here. Thanks. This looks DELISH!!! And super pretty too!